A new report has rated Amazon as the best e-commerce site for B2B office supplies in the US, as OPI reported. The study, conducted by credit network Apruve, focused on businesses in various stages of e-commerce adoption, and ranked based on user experience and usability, B2B product needs, and marketing and shipping. Amazon retained its ranking from last year at the top of the list, leading in the B2B product needs and marketing criteria. 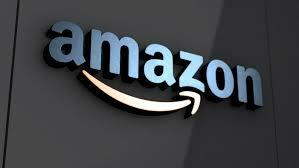 The report comes after Amazon reported annualised sales of over $10 billion for its rapidly expanding B2B platform, Amazon Business. It was followed by Shoplet, which moved up two places from last year to overtake On Time Supplies, which this year came in third. Both companies outperformed Amazon in the user experience category. Shoplet was praised for having a “great understanding” of its target market and being able to direct cost sensitive buyers to deals.